Yokohama city, known as a futuristic city, has cutting-edge facilities with exoticism and the atmosphere of the Meiji period. 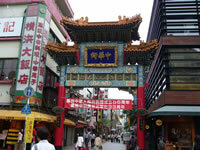 China Town is one of the exciting places in Yokohama . The seaside street is well known for a walk. 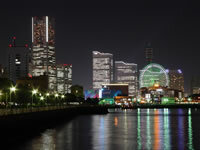 The Minato Mirai 21 area is famous as a dating spot. There are exotic buildings around the Yokohama Foreign General Cemetery. The event is held at Yamashita park on the Saturday just before Marine Day as commemoration of the opening the port of Yokohama. About four hundred thousand people visit Yokohama for the event every year. The event is held at the Minato Mirai 21 area, and eight thousand fireworks aill be displayed.